Roberto De La Torre migrated to the United State in 1979. He started to work at a Mexican food restaurant. After 7 years of hard work and sacrifice he went on to open his own restaurant with a dream and a goal of opening a fast food Mexican restaurant that would serve fresh high quality ingredients, good & fast service for this fast paced world of ours. So he opened his first restaurant in San Diego, California names Alibertos. It was open 24/7. His first day he went on to sell $1.68 a beef torta and a coke in 24 hours. Disappointed but still with will and power he didn’t give up. Second day he sold $30.00 and the third day $90.00. So with time he kept on selling more and more turning into a successful restaurant. 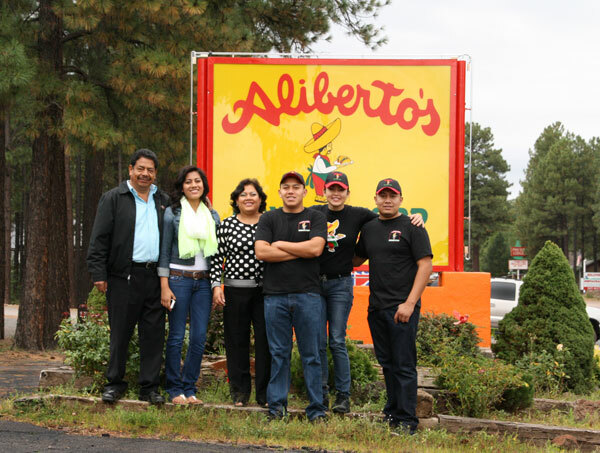 Evolving into what is now ten Aliberto's restaurants still family owned and operated restaurants. To provide our customers fast friendly service using the freshest and best produce and ingredients and enjoy our original Mexican food.